It was September 1862 and the fate of a nation was about to pivot on three cigars serendipitously stumbled upon by a Union soldier – Sergeant Bloss. The stage was the United States Civil War and the scene was that of a recently vacated rebel campfire. Bloss spotted an envelope with three cigars in it and was proud of his treasure. As there was as scamper to find a match to ignite the cigars, a piece of paper wrapped with the bounty was noticed. It was a find that would shake the course of the war from its tracks. The paper was General Robert E. Lee’s battle plans and they had just fallen into his enemies fortunate hands. Lee’s soldiers were just coming off a victory at the second Battle of Bull Run and they needed to do two things. First, they had to keep the Union off balance and secondly, re-supply his own forces. The scenario called for a daring move – just the kind of courage that made General Robert E. Lee famous over a century after his death. His plan was to temporarily split his forces in an effort to pick up stragglers around the country as reinforcements and then reconvene for a bold move on the heart of the enemy at Philadelphia, Baltimore and Washington. When the note was carried to General George McClellan, Commander in Chief of the Union Army it was obvious what he was holding. If the note had not been found, Lee would have had a clear run to re-supply and the war would have been over in weeks, if not days. Yet, because of this find – General McClellan also had an opportunity to end the war within days. With the knowledge that Lee had split his forces he could ambush each wing – divide the enemy and destroy them at his leisure. The war would still be over in days, yet now it would be a Union victory. So what did McClellan do? As remarkable as it seems, he hesitated and did nothing. He performed no reconnaissance and issued no orders and not a single one of his commanders dared to tell him to do so. The forces did meet in a battle that headed off Lee from his re-supply mission and that battle was known as Antietam. This battle was a draw and the war would continue for another four bloody years. 140 years after this battle, we can look back at scoff at General McClellan’s inaction. How could someone hold the roadmap to success in his hands and fail to act? How could someone in a leadership position lack the courage to be bold? Knowing success was inevitable – how could nothing be done? While it is true that General McClellan was ultimately replaced eventually by a leader who was decisive and courageous – General Grant, we can learn a lot from McClellan. You also hold the battle plans in your hand that will ensure your success. Yet, many just as General George McClellan will look at these orders and do nothing. Too many will not act, too many will lack the courage and decisiveness to take responsibility for their success and instead lead lives of quiet desperation. Read these battle orders LOUD and CLEAR – your success is GUARANTEED if you will only act to educate yourself, work hard, take responsibility and act! The battle for success in life is in your hands. 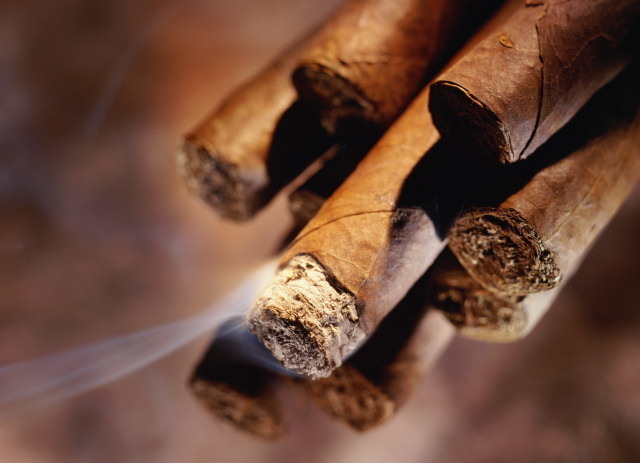 You have found it rolled with these metaphorical cigars. Success is not the elusive mystery that so many believe. It is the product of decisive actions, a lot of hard work and accepting responsibility for your life. There you have it – you have the battle plans in front of you to ensure success. Now, what will you do? Will you hesitate and do nothing as General McClellan. Or will you seize this opportunity to defeat the enemy and guarantee success for yourself? The enemy is moving. There is no time to waste – you have the battle plans – march forth! Reproduced with permission from the Ron White Ezine. To subscribe to Ron White’s Ezine, go to http://www.MemoryInAMonth.com Copyright 2008 All rights reserved worldwide.